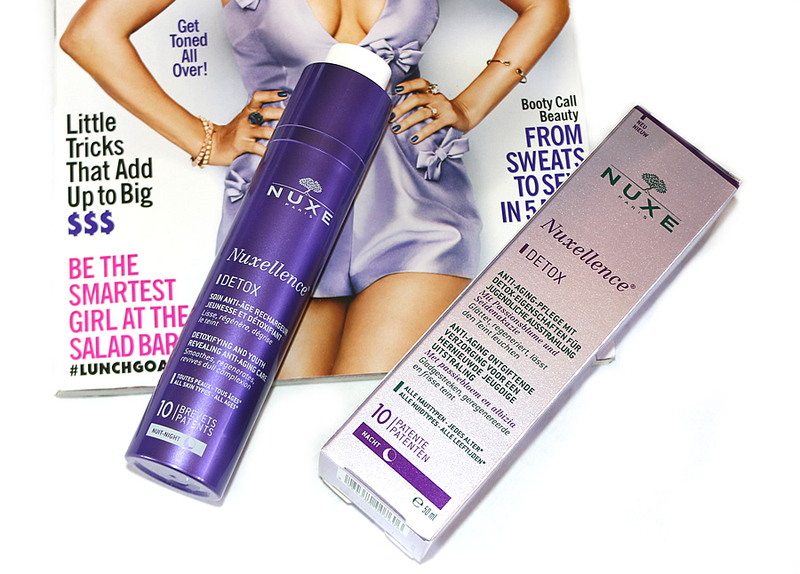 The latest from NUXE is this innovative anti-ageing treatment that aims to recharge your skin. This sleek purple bottle contains the first detoxifying and youth revealing anti-ageing care and promises to make you look as if you had slept 2 extra hours. I'm going to be talking you through the benefits of this product to help you decide if it's something you want to incorporate into your skincare routine. Through the use of passionflower, anchusa and poppy extract it detoxifies your cells and works it's anti-aging magic. It helps to promote cell renewal so that you can wake up with a bright and fresh complexion. It also smooths wrinkles, repairs the skin's energy supplies and plumps the skin for a younger fresher look. I find it so interesting that this product is so incredibly innovative that it has 10 patents protecting the advanced formulation. I have been trialling this for the last couple of months and have really enjoyed the way it has made my skin look. I find that it makes my skin a lot firmer and tighter giving my skin a lovely finish. I also find that my skin looks a lot more radiant and bright. I really enjoy the fact that this product doesn't include glycolic or lactic acid because it means that my sensitive skin isn't irritated. Apply this product in the evening - on its own or under your regular night cream. It works best as a serum booster before the application of cream. I love the easy use pump bottle that dispenses the perfect amount of product each time. You can purchase this product from Adore Beauty for $64.99. It is quite a pricey product but I don't mind spending a little bit more on my skincare because I think it's worth it. Also in comparison to a lot of high end serums it is on the more reasonable side of the pricing scale. I'm not sure what else to mention about the product other than I really think it is worth the money because I have seen visible results in my skin.